Fresh from revealing its new apparel collection at HYPEBEAST’s first-ever HYPEFEST event, Yuta Hosokawa and his READYMADE imprint have also recently unveiled a new carryall option. Revered for repurposing vintage textiles to help create updated classics, the Japanese lifestyle brand designed a functional military-inspired vanity bag. 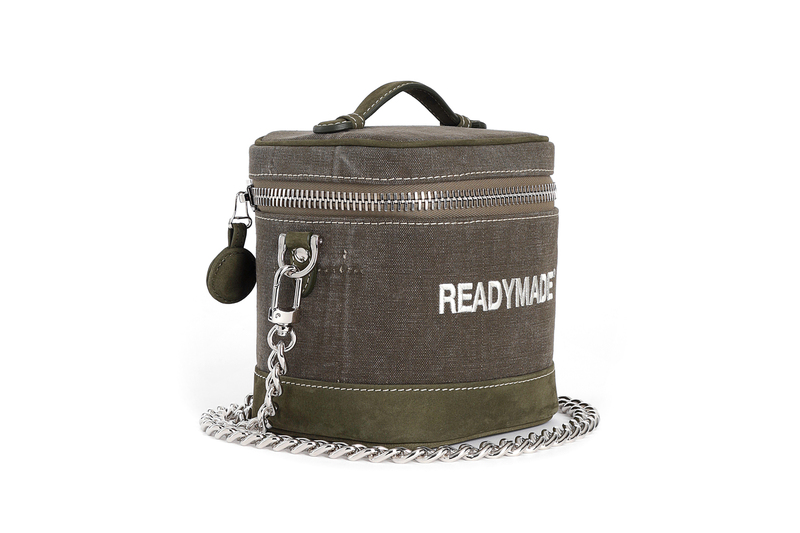 Combining what appears to be durable canvas with suede trim found along the bottom, the bag features a main zip closure with embroidered branding emblazoned right on the front. A removable chain strap link, along with sporadic hits of leather landing on the top handle and decorative zip tag add supplementary contrast while working its way into the monochromatic color scheme. Priced at $1,986 USD, you can find this new bag model now at Antonioli. In case you missed it, Balenciaga dropped another cross-body bag from its Fall/Winter 2018 collection. The otaku opens up about his struggles. Mixing olive with black and red.